This article was also published in the Globerover Magazine. 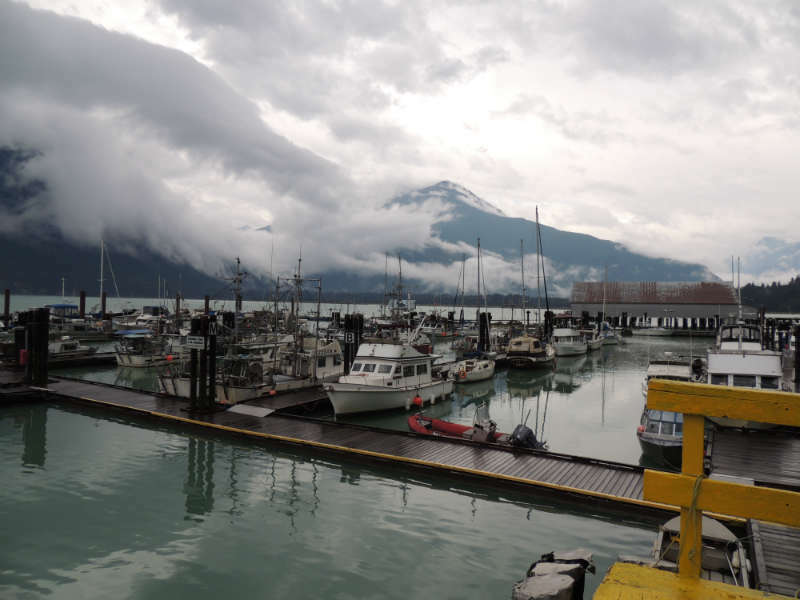 Venturing to Bella Coola, the little town at the end of the road is a journey like no other. The unique town can be reached by sea on a BC ferry vessel, skipping along the spectacular mountainous coastline of British Columbia, or by air cruising above and around the highest mountains in BC. I chose to drive 457 km on highway 20 from Williams Lake. This is the only road leading to the Bella Coola Valley. The highway is paved for the first 319 km to Anahim Lake, through the Chilcotin plateau along prosperous farms and forests. 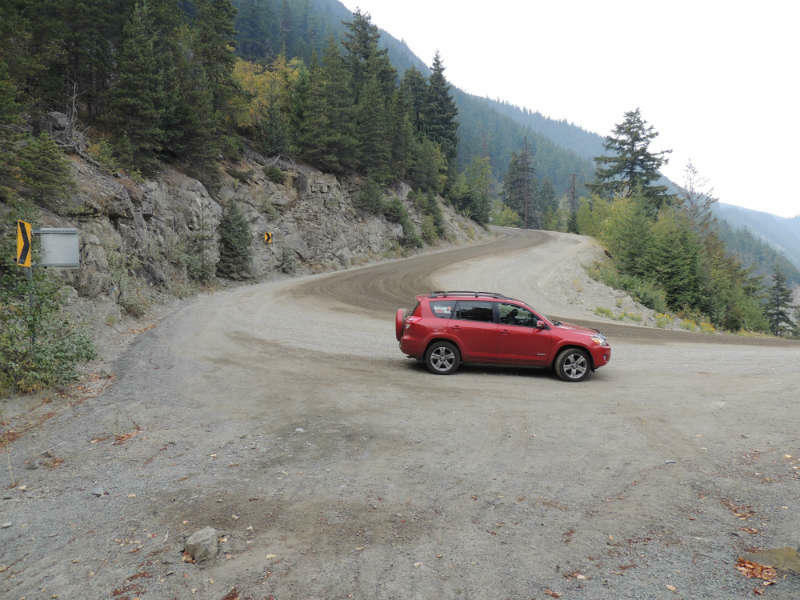 At Anahim Lake, the paved road changes to an all-season gravel road, and that is where the true adventure begins. 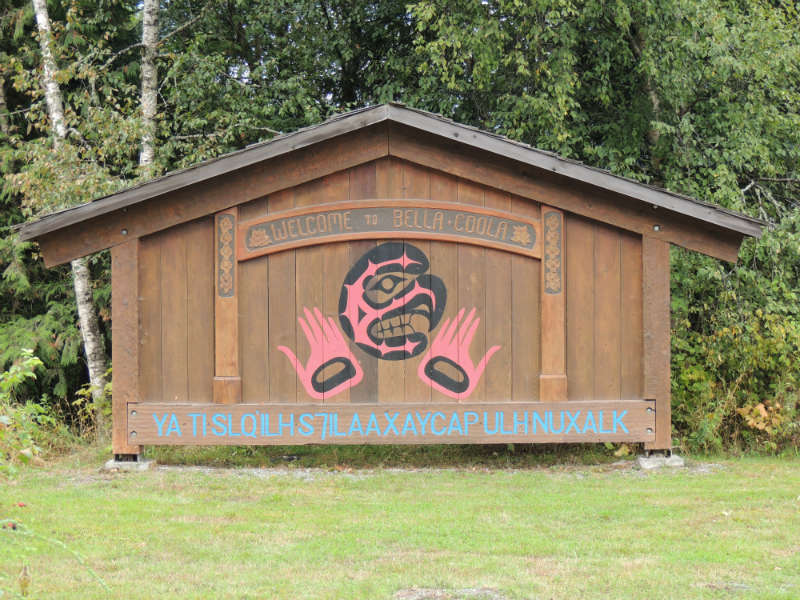 The Bella Coola Valley was first known as the valley of Nuxalk, meaning “becoming one” and was inhabited by the Nuxalk Nation. Nestled in the heart of the Coast Mountains the valley is a remote, natural paradise, rich with First Nation history and culture and has an abundance of wildlife. Here you experience authentic wilderness, natural wonders, glacier-fed rivers, unique flora and plenty of adventures. When I approached the eastern boundary of Tweedsmuir Provincial Park I looked north. I tried to detect the mountain pass where Alexander Mackenzie, one of North America’s first great adventurers, entered the history books in 1793. He was known for his overland journey across North America to the mouth of the Bella Coola River. Tweedsmuir Park is the largest Provincial Park in British Columbia. When I reached the top of The Hill at the Heckman Pass Summit, I took a couple of deep breaths while looking at the narrow stretch of road ahead, where Highway 20 begins its traumatic descent to the sea. Bella Coola’s famous Hill is legendary for its steep descent. 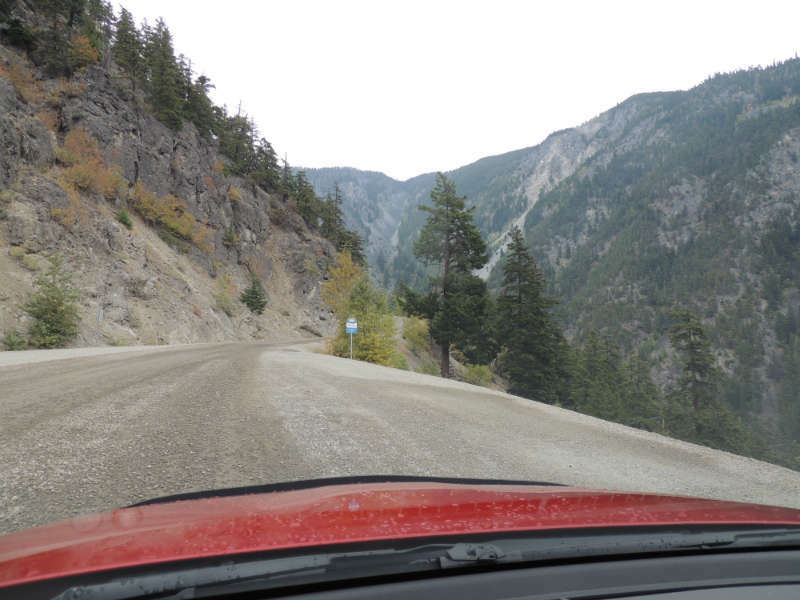 The actual Hill is a 15 km gravel road dropping 5,000 feet from the Chilcotin Plateau into the Bella Coola Valley near sea level. 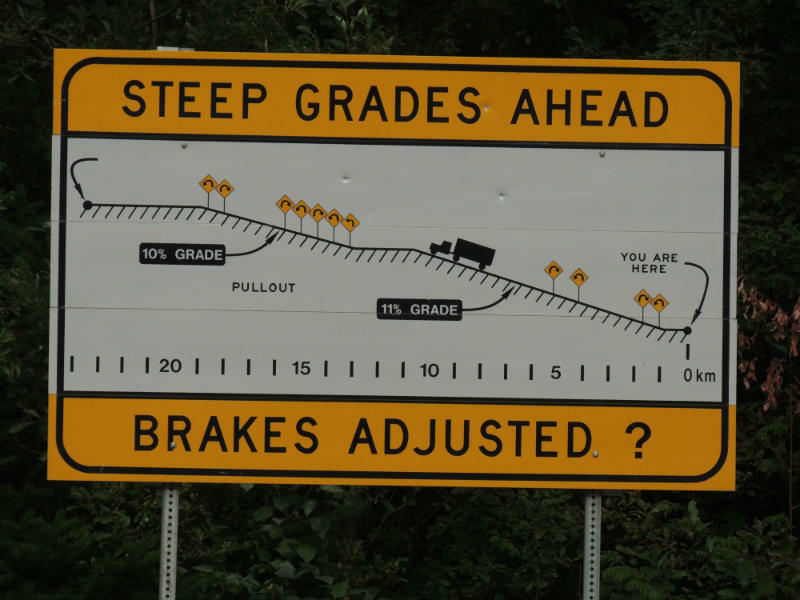 The road is cut into the hills with steep switch-backs and grades of up to 18 % with narrow one-line sections, unprotected drop-offs, and no shoulders on the side of the road. There are no guard rails from preventing me to go over the edge. While the stretch of road is commonly known as “The Hill” it is also called the Freedom Road. This is what residence christened the road after a persistent, tough group of locals built it in the 1950s. This was after the highway engineers said that it couldn’t be done, that this road couldn’t be built. Driving in low gears and fully concentrating on the road is necessary when traversing the hair-pinned killer curves. I knew that leaning on the breaks too much could make the wheels slip under me. Fortunately, along the way, there are many pullouts to yield to oncoming traffic, photo opportunities, as well as run-offs, in case of a brake failure. Being used to the backcountry and mountain roads I didn’t find The Hill to be intimidating. I gearing into low, was cautious, kept my eyes perched to the road, and prayed that no big rig or truck would want to pass on the narrow stretches. For drivers accustomed to city roads, The Hill can be scary. According to locals, it’s not uncommon that travellers leave their rental car or RV behind and depart by plane or ferry in order to not have to drive back up The Hill. Once I got to the valley floor I pulled over for a while and felt a sheer sense of accomplishment. 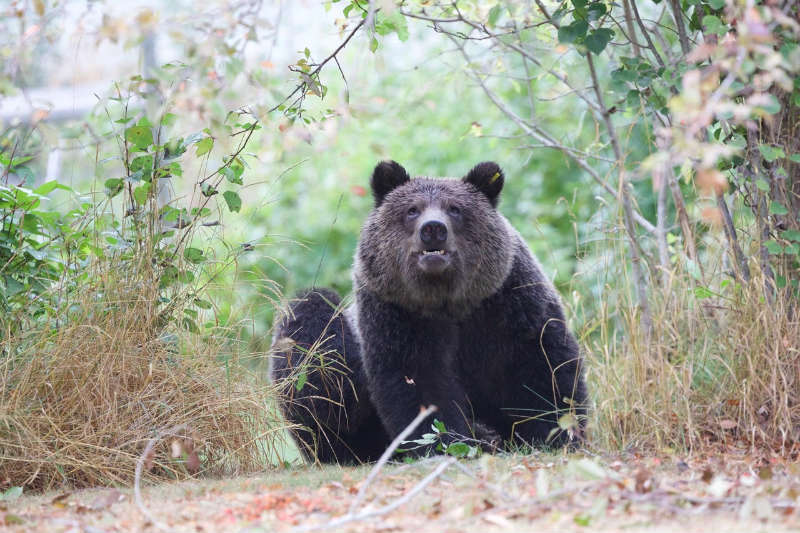 A short drive down the road, I stopped at the bear viewing station at Belarko. 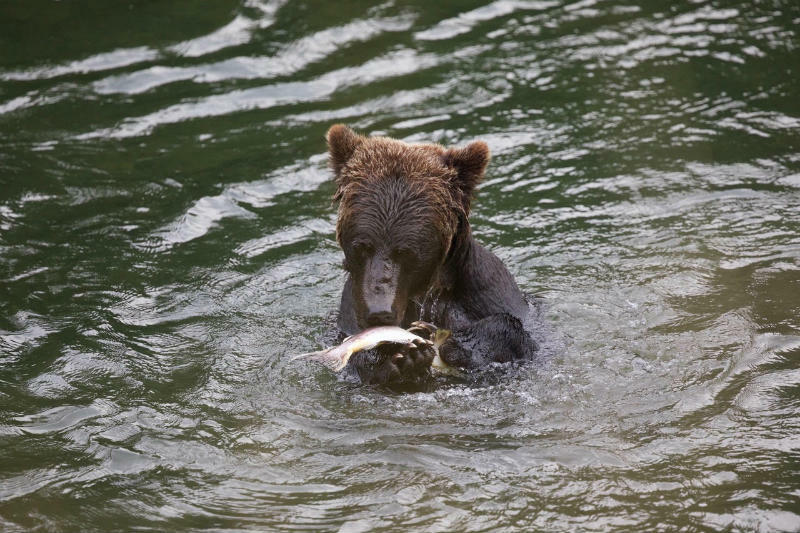 There I had the opportunity to watch the bears dive and splash in the river and catch salmon from the rocky shore. From here, another hour of relatively flat driving took me through Hagensborg, 16 km east of Bella Coola. Hagensborg is where the Norwegian-speaking colonists settled between 1894 and 1910. 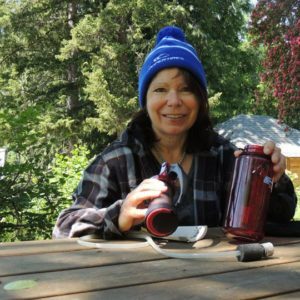 It was on a late afternoon in early September when I arrived in the Bella Coola wilderness village. The fog hung low and it started to drizzle. The Bella Coola Museum and other historic buildings were shut down for the season. Fortunately, I found other treasures to explore. At the harbour, I strolled around the Government Wharf surrounded by fishing boats, walked between giant trees at the Snootli Creek, found the trail to Clayton Falls and visited the House of Numst’ with its totem pole entry. Bella Coola’s Petroglyphs and the kayaking tour have to wait until I return. 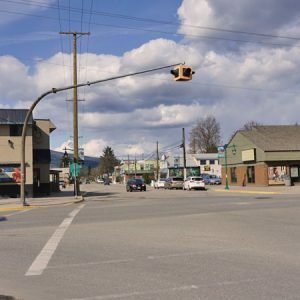 Browse places to stay in Bella Coola on Booking.com. Free cancellation.